First released in 1991 among the New Balance 990 series, the 997 silhouette with its unique shape is still one of the most popular shoes designed by the Boston based company New Balance. 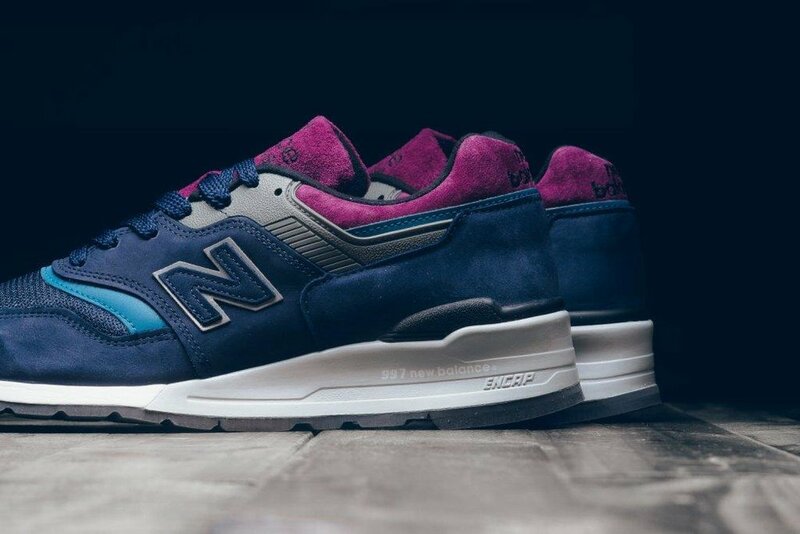 The NB 997 PTB in this navy colorway combines this uniqe shape with the premium materials and the precision of American craftsmanship. Available now at selected retailers such as Sneaker Politics.